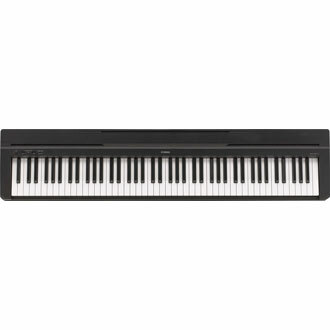 Yamaha P255. 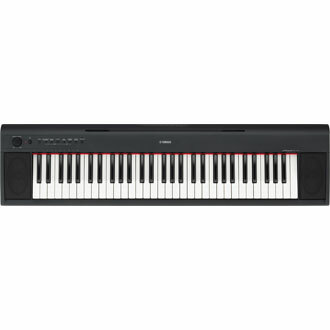 $1299.99 he best-selling Yamaha P-Series set the industry standard for what a compact, stylish digital piano should be. 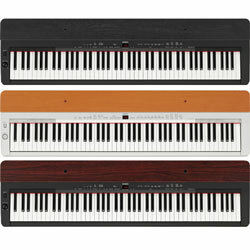 As the latest addition to this series, the P-255 offers a more authentic piano sound and feel than ever before. Thanks to its highly portable design, this digital piano can be played in any place or setting you desire. With Yamaha�s knowledge of digital audio and over 125 years of experience building fine acoustic pianos, you can rest assured that the P-255 will meet and exceed your expectations of a portable digital piano. Optional extras such as the matching L-255 furniture stand and the LP-255 piano-style 3-pedal unit make the P-255 a pleasure to look at and play, even at home. 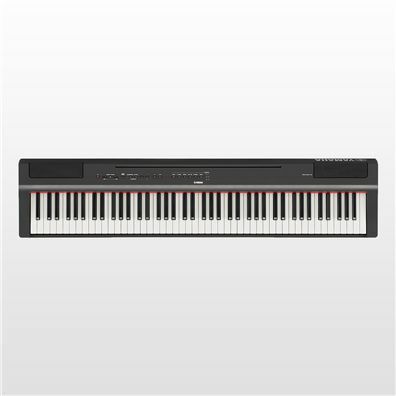 he Yamaha P-255 contemporary digital piano is for all musicians looking for an instrument suitable for both serious practice and live performance. Thanks to its portable design and built-in speaker system, the P-255 can be played in any place or setting you desire, with or without external amplification. And with the first-of-its-kind Controller App for iOS, you can customize your piano sound or quickly adjust your favorite settings with touch-screen ease-of-use. Yamaha P 115. 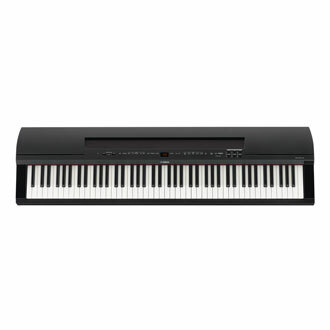 $599.99,W/power supply,& sustain pedal. 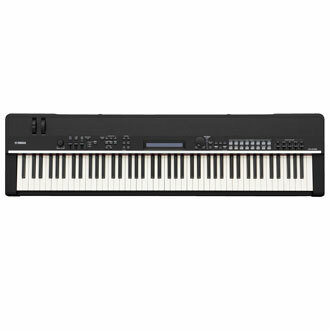 Yamaha YPG-235- 76 Keys- $279.99 w/power supply Contemporary Music Store is a full line, authorized Yamaha dealer. If you do not see the keyboard you are looking for listed here call or e mail us for pricing and info. 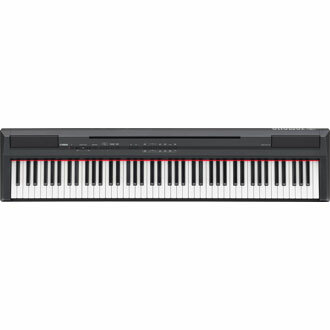 802 257 2019. emlopata@gmail.com The Yamaha YPG-235 Digital Grand Piano is the perfect choice for the beginning keyboardist or anyone who�d benefit from a 88 key, lightweight, full featured portable keyboard with an impressive acoustic piano sound. Contemporary Music Store is a full line, authorized Yamaha dealer. If you do not see the keyboard you are looking for listed here call or e mail us for pricing and info. 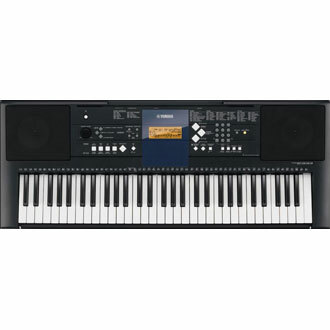 YAMAHA PSR E333 * Ultra Wide Stereo * More Advanced Y.E.S" and "Keys to Success" Lesson Functions * High Quality Voices & Styles and Digital Effects * Music Database * Easy Recording * Connectivity to PC * Portable Grand Button * Auto Power Off mode with adjustable timer The PSR-E333 features a touch sensitive keyboard. It has 497 dynamic, high quality, natural sounding voices, 106 accompaniment styles and 102 built-in songs. Music database provides one touch set-up of the keyboard, to play the selected songs. The Easy Recording feature lets you record up to five of your original songs. You can save them into the onboard memory: great for practicing and composing. w/Power supply, FC4 sustain pedal.